Hello! My name is Michael Aurrichio and I am petrified of being an adult. However, being an adult means that I’ll need a schedule which gives me some sort of solace. I like to think that if making a schedule is a skill, I possess said skill. Well, here’s a few tips to help all those who want a little guidance from a fellow stressed out schedule-maker! 1) Know yourself. Know your preferences. Are you a morning person or a night dweller? Do you want to fit in all your classes in a four hour window or would you rather space out your classes throughout the day? Are you okay with having a Friday class or two? Knowing yourself is vital because it’ll just make your schedule more bearable. If you enjoy sleeping until noon (like I do), it wouldn’t make sense for you to have an 8AM class every single day. 2) Write everything down. When you’re actually making your schedule, write everything down. This includes everything from your class options to times of classes to any other classes you could take. I like to use a website that can visually lay everything out for me. Even as a learner, I’m very visual, so for me it’s calming to just see everything out on the table. Personally, I like freecollegeschedulemaker.com, but there really are several options. 3) Don’t be afraid to plan ahead. If you know that your major has a handful of classes that are writing intensive and you are not exactly the strongest writer, plan forward so you don’t have to take three writing intensive courses in one semester. If you need to take workshops for your major, education does so Hello, figure out if you want to take five workshops in one semester or if you want to take one workshop per semester. Knowing what classes you’ll need to take in the future will impact what classes you need to take now so just be mindful. 4) Go to your advisor if you have any questions at all. This is is important. 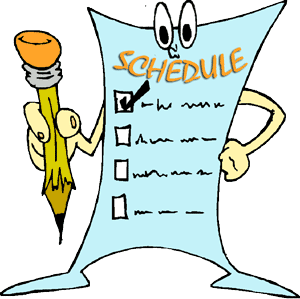 If you have any questions about your schedule…ask me! Just kidding, totally don’t do that. Ask your advisor or professor. They are here to help you and your advisor in particular will know everything you need to know for future schedules. They will be the person you should go to for any questions with your schedule. This guy MUST know how to schedule! I hope this helps everyone. I’m currently making my sixth schedule so I’m basically a veteran at this now. 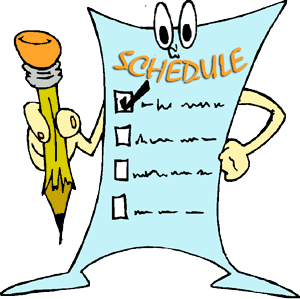 I’ve had my rough schedules, but recently I’ve been making fantastic schedules, not to brag. Good luck to everyone registering this year and future years to come! We can do this!